Original Kragenspiegel Wehrmacht blau Sanitäter? / Marine? halbfertig ! 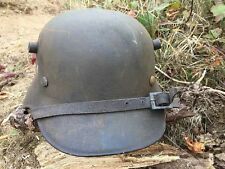 Description: German M24 Hand Grenade. A nice example famous Stick grrenade which is Battlefield recovered and both the can and the handle are maker marked. The Grenade is of course fully deactivated. Postage will depend on destination but the weight is not great so shouldn’t be too much ! !